Mom and Dad have four daughters each daughter has one brother how many people are in the family? The answer is 7. Each daughter has one brother since the daughters are all sisters and there's one brother they all share the same brother. So, therefore, the answer is 7. 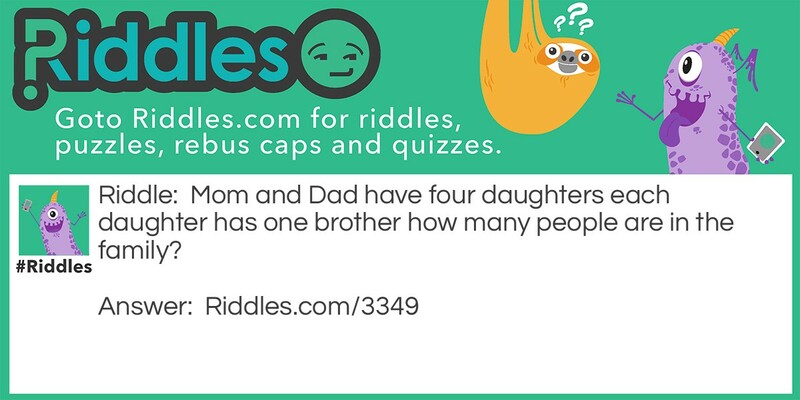 How many people Riddle Meme with riddle and answer page link.